New in MealsPlus - ..:: Region 1 > Meals Plus > News You Can Use ::..
New! 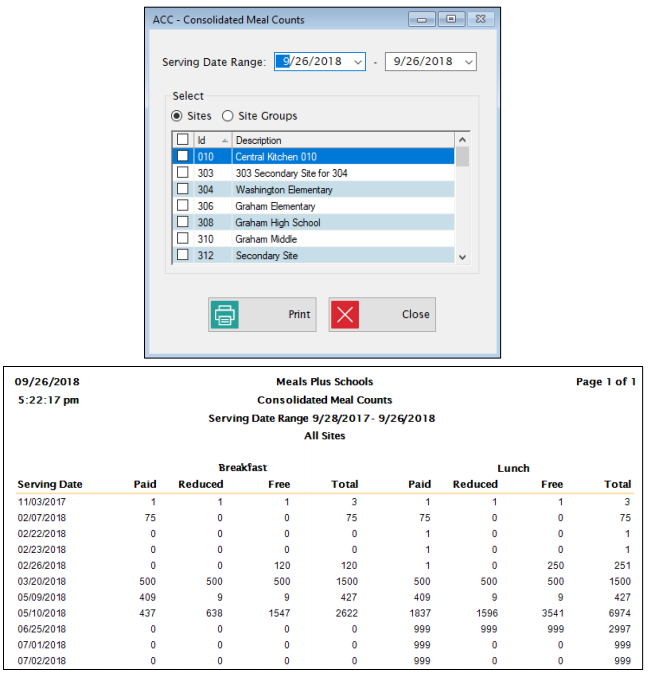 A Consolidated Meal Counts Report has been added in Accountability that displays the Total Reimbursable Meal Counts for each day for all sites selected within the Serving Date Range and Site(s) or Site Groups. · Date Range is limited to one year. · Meal Types will be for Breakfast and Lunch. · Meal Counts will be for Paid, Reduced, Free and then the Total for each Meal Type. 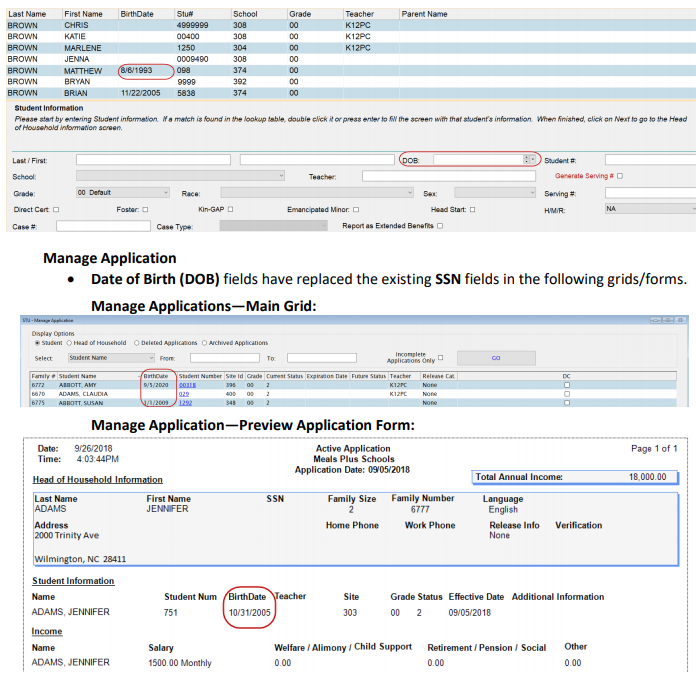 · Date of Birth (DOB) fields have replaced the existing SSN fields in the Student Look Up grid and the Student Information form.